…And just like that, I’m one day away from diving into Lake Michigan for a casual 1.2 mile swim, 56 mile bike and 13.1 mile run. 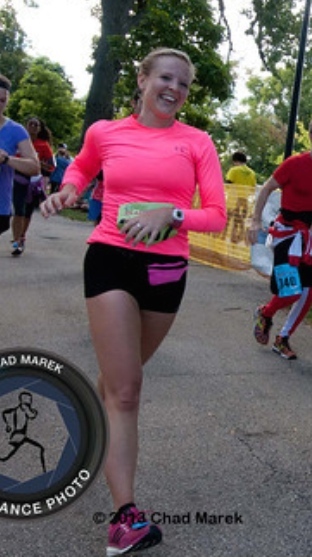 Seven months ago, I began my half Ironman journey when I made the irrational decision to hit the submit button on Active.com. 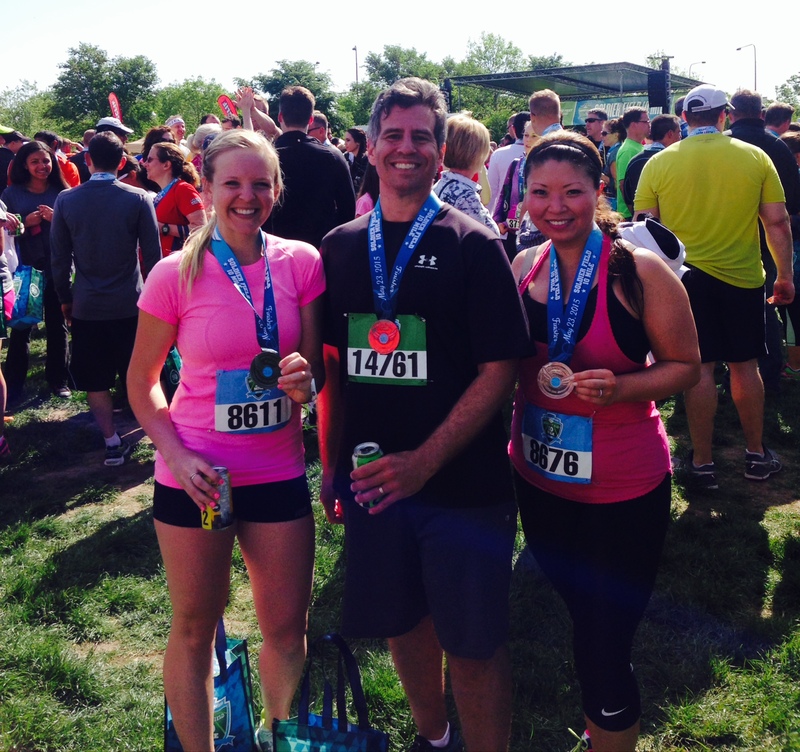 I had survived two triathlons the previous summer and figured it made perfect sense to race double the distance. (Warning: Ironman 70.3 races seem more appealing in the dead of winter, whilst one dreams of summer days, than when the race is staring you in the face.) Maybe, maybe not kidding. The day after securing my spot, I jumped into the pool for my first swim in months. 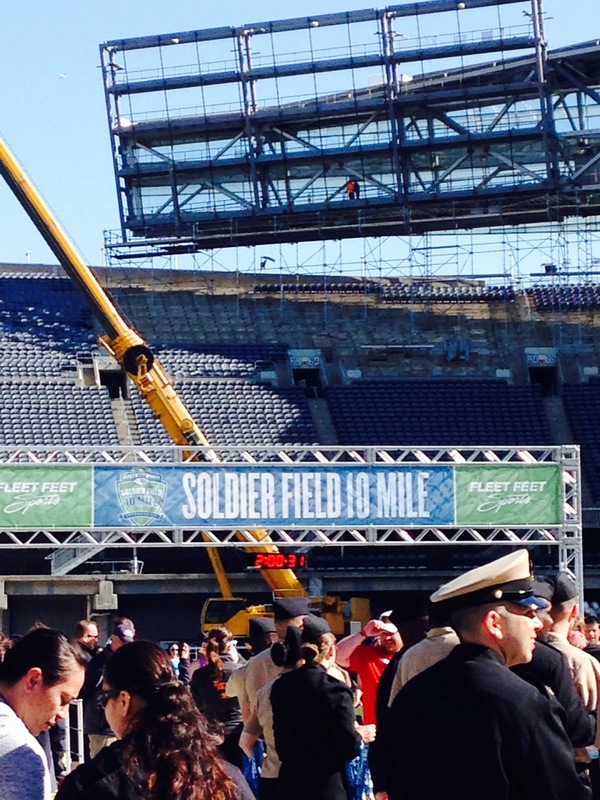 I struggled through 50 meters and was out of breath. I questioned my endurance. I joined CompuTrainer classes to help my cycling game. An hour felt like a year, and I was certain my booty couldn’t sit on that rock of a seat any longer. I questioned my strength. 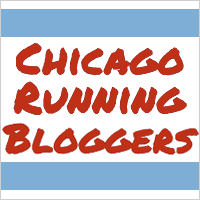 As spring (read: above freezing temps) started to roll in, I began my long runs outside. The cold hurt my ears and lungs, and I felt like quitting more times than one. I questioned my drive. Everyone gets nervous before a race–it’s human. I would be worried about any athlete that didn’t. It’s a sign of how much we care. The key is to trust in your preparation. You have done all you can, so focus on that fact. You will remain the same person before, during, and after the race, so the result, however important, will not define you. The journey is what matters. And what a journey it has been. A whole lot of early mornings, rainy rides and runs, three flats and two wipeouts have led me to this weekend. I’m so excited to see what this Ironman 70.3 thing is all about. It might not be pretty, but I’m determined to cross that finish line with a smile (crawling counts). Good luck to everyone racing this weekend! I hope to have a recap (filled with happy memories!) up next week. Why hello. Hope everyone enjoyed the beautiful weather this weekend! Isn’t it wonderful to be riding and running outside? Saturday morning, I had just about finished my 30-mile ride when I got flat tire. A teeny, tiny shard of metal pierced it, and within seconds, it was completely flat. Womp. *You will feel exhausted all the time. This is mostly true for me during the week. After a long workday, I accidentally fell asleep after my run and swim. Daniel had to wake me for dinner at 9pm! *You will be hungry every second of the day. Just typing the word hungry made me hungry. *Wipeouts happen more than you expect. No matter how many times I ride my bike, every so often I forget to unclip my shoes. In my most recent wipeout news, I made a wrong turn and was heading straight for a lake. Instead of calmly unclipping my shoes, I FREAKED THE F OUT and fell right on over. As an added bonus, a large group of canoers witnessed the whole fiasco! *Assume that no one sees you when biking or running. Be particularly defensive when training around busy roads, but also be aware of others on a trail. You’ll be shocked at the amount of people that have no idea you are behind them until you scare the sh*t out of them by announcing yourself. *Ladies- You will have a love, hate relationship with your bike. Somedays, your saddle will seem like the devil himself. You will have bruises in places you don’t ever want bruises. What happened to the good ole’ beach cruiser seats? *The foam roller will be your new BFF. Your body will be in a constant state of sore, so rolling around on foam is necessary. Hope you’ve learned a thing or two at my expense. Consider yourself warned, my friend. 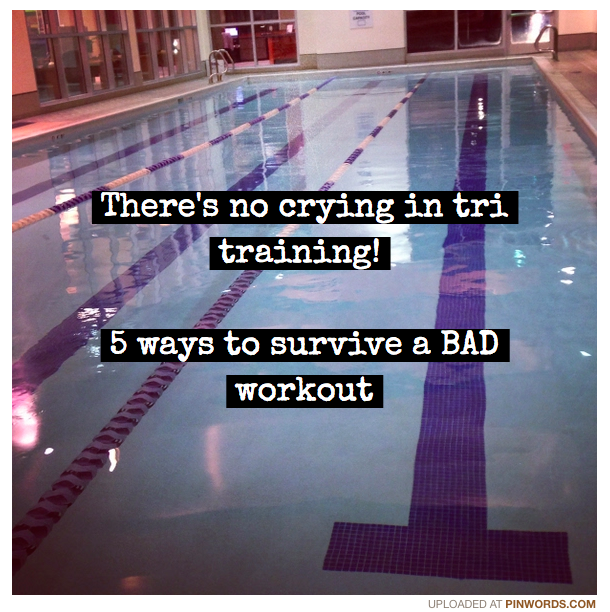 There’s no crying in tri training! I’ve learned one thing in my short time as a Half Ironman hopeful: Training can be exhausting. Running six miles and swimming 1,000 meters seems fine and dandy when I’m chipper at 6am. Throw in a 10+ hour work day filled with meetings and conference calls, and those same training plans seem a bit more daunting. Last week, like a two year old who doesn’t want to take off his floaties, I almost threw a fit in the pool. I had just experienced a slow treadmill run and was hoping to redeem myself during my swim. One lap in, my goggles fogged up, and I choked on a sufficient amount of water. (I swear I’ve swam before…) I called it quits a few hundred meters early. As endurance athletes, we tend to be really hard on ourselves. Heck, we beat ourselves up over missing a PR by a few seconds. Meeting and exceeding our goals is always a priority, and training days are no exception to the rule. I’m here to tell you that one bad training day does not define you as an athlete, and it’s certainly no indication of the outcome of your race (that’s likely still months away). 1. Stay positive: Even if your stride is bit slower, don’t let it get you down. Beating yourself up over a tough workout doesn’t make it easier. Like my girl Kelly Clarkson once said, “What doesn’t kill you makes you stronger”. 2. Shake it off: Leave your workout at the gym. Tomorrow is a new day full of opportunities for a comeback run/ride/swim. 3. Don’t be afraid to end a little early: There’s one thing I’ve learned from running and triathlon coaches- proper form is everything. It’s crucial during times of exhaustion and necessary in avoiding injury. Unfortunately, on a tough training day (when we’re too busy pouting to focus on form), proper technique goes out the window. It’s important to realize when this is happening, and either pull yourself together, or end the workout a bit early. One less mile will not ruin your training regimen. 4. Keep your Confidence: Self doubt is such a biotch. Don’t let a bad workout make you question your decision to sign up for that goal race. Keep in mind all of the time and training you have put in, and rock your next workout. 5. Develop improvement strategies: Take a few seconds to reflect on the reasons you had a rough workout. Could it have been caused by nutrition issues? A long day at work? Use your answers to improve your next workout. With race season right around the corner, I hope these tips come in handy!